Franz Anton Hoffmeister was active in Vienna both as a composer and a publisher, becoming closely associated with Mozart and including works by Beethoven amongst his editions. 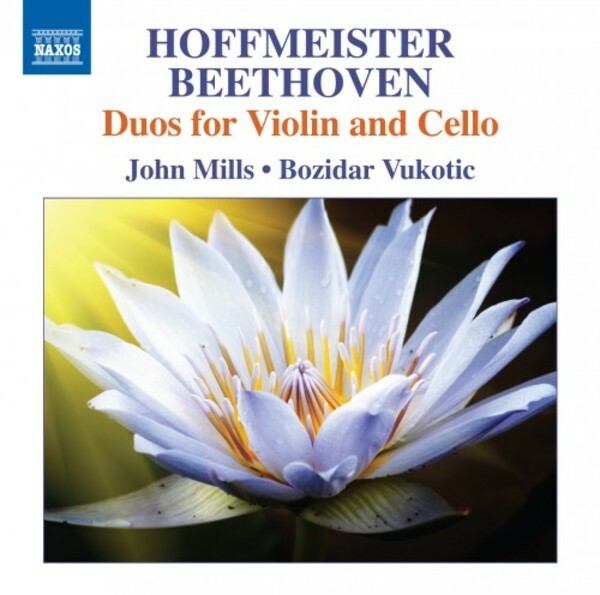 The combination of violin and cello had its appeal for the amateur market, though Hoffmeister�s Duos op.6 include plenty of technical challenges. Conjecturally dated to Beethoven�s final years as a young man in Bonn, the three refreshing and inventive Duos for Clarinet and Bassoon have appeared in numerous arrangements.